Although Google promotes lively internal communication, it has been rare for employees to speak out publicly against the company. This is changing as Google has grown and become entwined in increasingly controversial matters. Alphabet’s annual meeting was turned on its head Wednesday when an employee of Google, the company’s internet division, took the stage to criticize her bosses’ pay. Irene Knapp, a software engineer for the web-search giant, presented a proposal at the annual shareholder meeting in Mountain View, California, on behalf of Zevin Asset Management, which submitted the measure. They requested Alphabet consider certain metrics in incentive plans, with a focus on diversity and inclusion in the workforce. Though the proposal was voted down, it’s highly unusual for staff to even comment at annual meetings, let alone to chide their leaders. Those concerns came to the fore after another engineer, James Damore, wrote a 3,000-word memo assailing the firm’s affirmative action policies and suggesting women are biologically less qualified than men for tech jobs. He was fired and sued Alphabet for wrongful termination. In a separate lawsuit last year, the company was accused of paying women less than their male peers. At the event, Alphabet Chairman John Hennessy said the board will consider diverse director candidates. 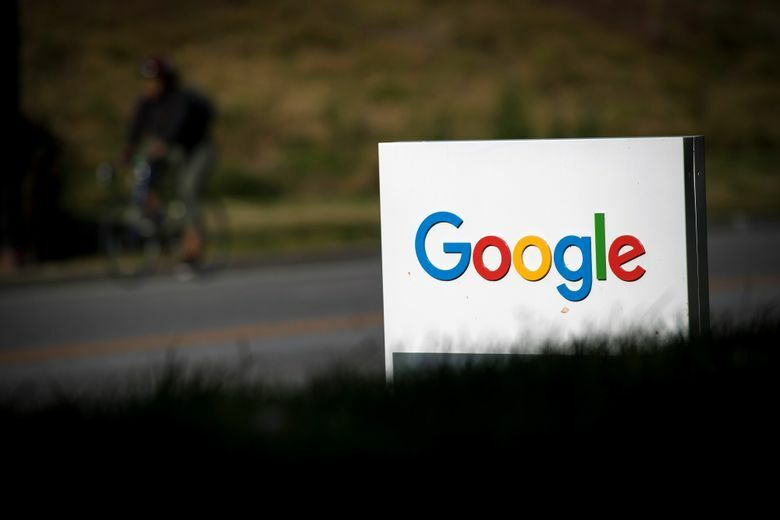 Eileen Naughton, Google’s HR chief, said the company aims to increase black, Latino and female workers at the company to more representative levels by 2020. Google promotes lively internal communication, letting staff complain about anything from the quality of the snacks in the micro-kitchens to workplace sexual harassment, sexism, bigotry or racism. However, it has been rare for employees to speak out publicly against the company. This is changing as Google has grown and become entwined in increasingly controversial matters. More than 4,000 employees recently demanded that the company’s artificial-intelligence technology not be used for military purposes. Several staff resigned, Google said it would let a Pentagon AI contract expire next year, and Chief Executive Officer Sundar Pichai is preparing an ethical charter for Google’s AI this week, in part, to appease staff concerns. Both the Pentagon petition and the push at the annual meeting highlight the growing power of the company’s employees. Google relies on talented engineers and spends a lot of time and money keeping them. That gives workers more leverage. Other Google employees, including Tariq Yusuf, attended the meeting to support the pay proposal. In an interview following the vote, Yusuf said the company must do more to promote diversity. While it still needs to improve, Google does relatively well recruiting diverse people. A bigger failure is the company’s uneven support of diversity and inclusion work. Yusuf said he spends some of his work time on diversity initiatives, along with his official duties, and has been rewarded with a promotion. But Google sometimes punishes people for spending time on these extra projects, which makes staff uneasy. The rising influence of employee voices is especially important because Alphabet investors don’t necessarily have that much clout with the company. At shareholder meetings, investors typically bring proposals on a range of issues — from pay to environmentalism to the firm’s political positions. Executives hear them out, then reject the proposals, showing the company is still firmly controlled by its founders. While executives this year are more attuned to grievances, particularly those from employees, Zevin’s diversity-pay proposal never had much chance of passing, given that Google’s billionaire co-founders Larry Page and Sergey Brin have more than half the voting power. In opposing the plan, the company said in a filing that it won’t “enhance Alphabet’s existing commitment to corporate sustainability,” noting that Page collects a salary of just $1. A spokeswoman said the firm had no comment beyond the statement in the filing. Alphabet’s other top executives get salaries, perks and participate in the company’s incentive plans. In the past three years, Pichai and Chief Financial Officer Ruth Porat have received reported pay of $302 million and $70.8 million, respectively, most of it from stock grants, according to data compiled by Bloomberg. Those awards don’t include performance metrics. While tech companies are hardly leaders in this area, some are more committed than others. Microsoft has about 17 percent of annual bonuses linked to culture and organization leadership goals, which include promoting diversity. Intel’s annual cash bonuses are tied in part to diversity-based hiring and retention goals. And Qualcomm and International Business Machines mention inclusion considerations in their qualitative assessments of executives’ pay. On Wednesday, Hennessy also told shareholders that Google’s core advertising business continues to perform well, and said autonomous-car unit Waymo is on track for commercial service by next year. In an interview after the meeting, Hennessy also addressed the staff unrest over military work, saying its AI principals to guide decisions on such contracts are coming soon, and the company feels good about them, though it will still need to use its judgment to assess individual cases when considering working with the military. All technology can be used for good and bad things, he said. Hennessy declined to comment on whether the company will completely rule out the use of its AI for military purposes.